Do you enjoy Skeptoid, and would you like to tell me so? Throw me a bone - please consider using this form. Comments entered here will appear on this site and may be used for marketing purposes. Please do not use this form for episode requests or to comment on a specific episode. Go to that episode's transcript instead. This is not a way to contact Brian - do that here. All comments entered here must be approved before they are posted. They may be edited for content. 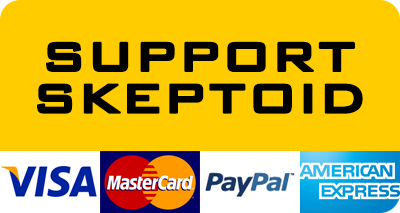 All comments become the property of Skeptoid and may be used for marketing or other purposes. Thunderwood College: Get Your Degree in Seconds!